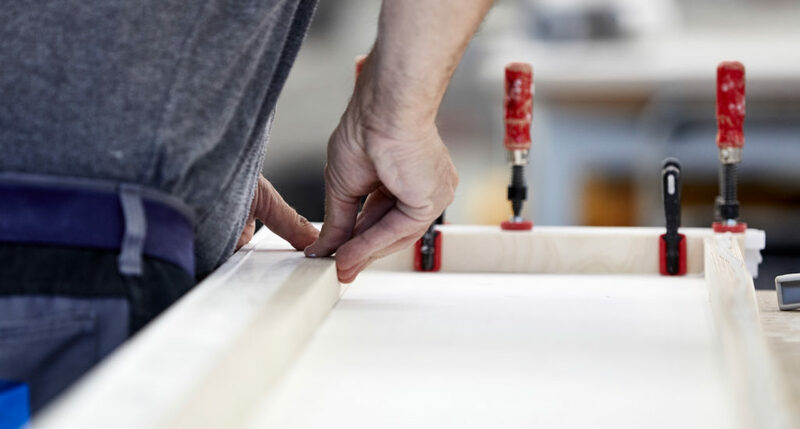 What are Corian® and Core? In 1967, a nerdy chemist working for American DuPont™ had a crazy idea. His aim was to create an artificial acrylic material with an extremely hard surface. Donald Slocum, as the chemist was called, experimented with various mixes of minerals and acrylic, and he ended up with a successful cocktail of trihydrate-aluminium, pigments and acrylic resin. The result was Corian®, which DuPont™ patented in 1968. Since then the material has made triumphal progress throughout the world. It is seen both in private homes and in commercial use in hospitals, industrial kitchens, bars, etc. 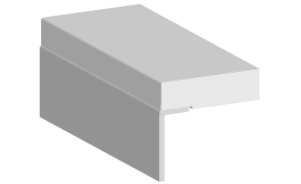 Corian® is DuPont’s™ original composite material and Core is a slightly less expensive version. 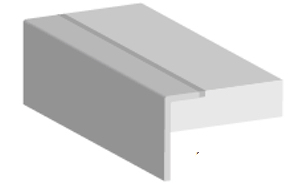 The two composite types are available in various thicknesses. 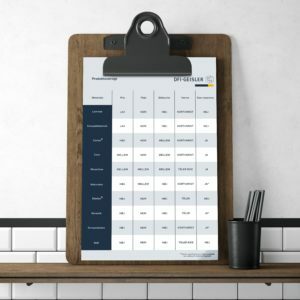 Core is also available in a 20 mm version, consisting of 17 mm quality chipboard bonded to a 3 mm Core board (the worktop has 10 mm Core on the front edge). When it comes to daily use and wear and tear, Corian® and Core are simply a dream. 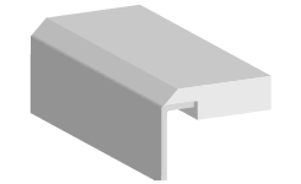 The materials are highly resistant to minor bumps and knocks. On the other hand, you should never put hot dishes and pans directly on the surface. The patented composite material is fully sealed and non-porous. Therefore, you will never have to worry about spills resulting in discolouration and stains. Nevertheless, we recommend wiping up red wine and other coloured liquids immediately. If the worktop has scratches, burn marks or any other type of damage, Corian® and Core can be repaired in your own kitchen by a specialist and be as good as new. And because the worktop is colour-ingrained, sanding or other repairs will not leave visible marks. Corian® and Core can be shaped to any design when heated. Not only can we shape your sink, we can create the most complex design details. 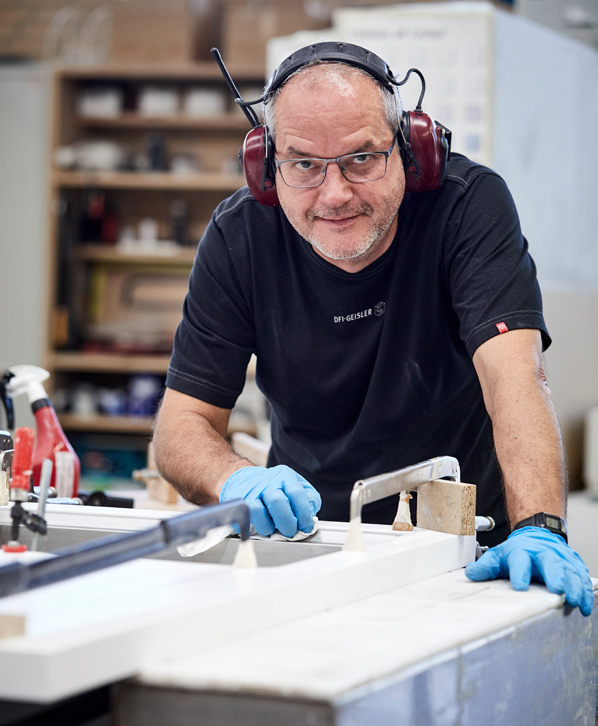 When the various Corian® and Core elements are bonded together, the join will be almost invisible once the fitter is finished with sanding and polishing. In other words, almost any kitchen design is possible: from integrated or moulded sinks to worktops in endless lengths (or thicknesses) and bridge solutions with invisible joins. Corian® is available in 100 different colours and patterns, giving kitchen dreams free rein. We can order any colour, adding an extra 10 days to the delivery time. And DFI-Geisler has selected three shades of white to keep on stock, which are suited to today’s kitchen design with its clean lines and light, Nordic look. 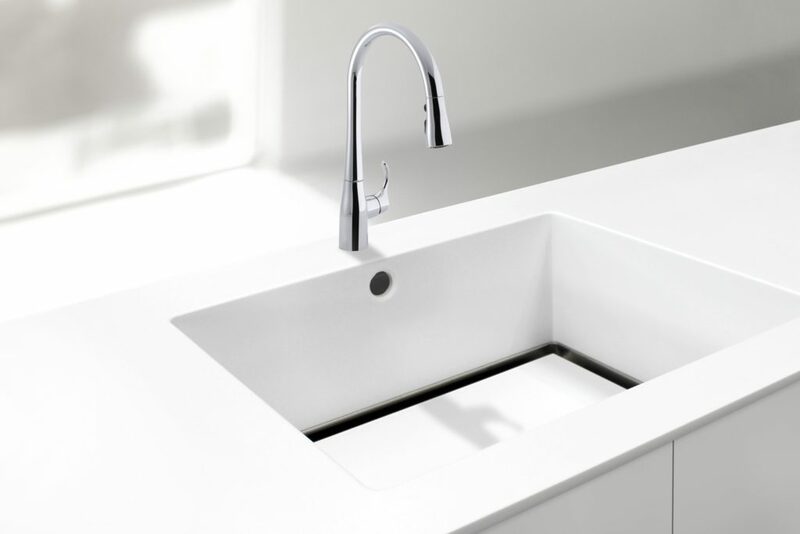 There are 20 different Corian® sinks to choose from, for integration in the worktop. And you can design your Corian® sink yourself. We also offer a wide selection of steel and composite sinks, which can be flush-mounted, undermounted or undermilled. The same options apply to Core, and we have four different Core sinks on stock.